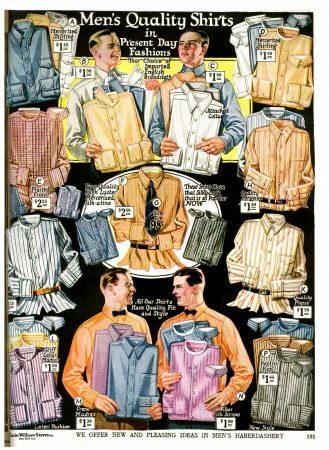 There’s not much product copy on this page of men’s shirts, but who needs lots of copy when you’ve got words like “Mercerized Silk-atine”? What is that? 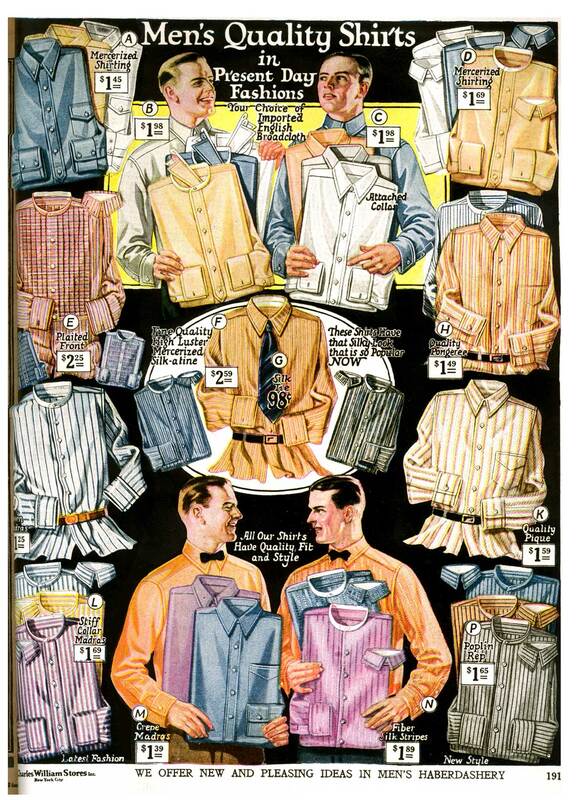 So let the pictures tell the story in the kind of colorful, jaunty layout that 1920s catalogs had mastered. 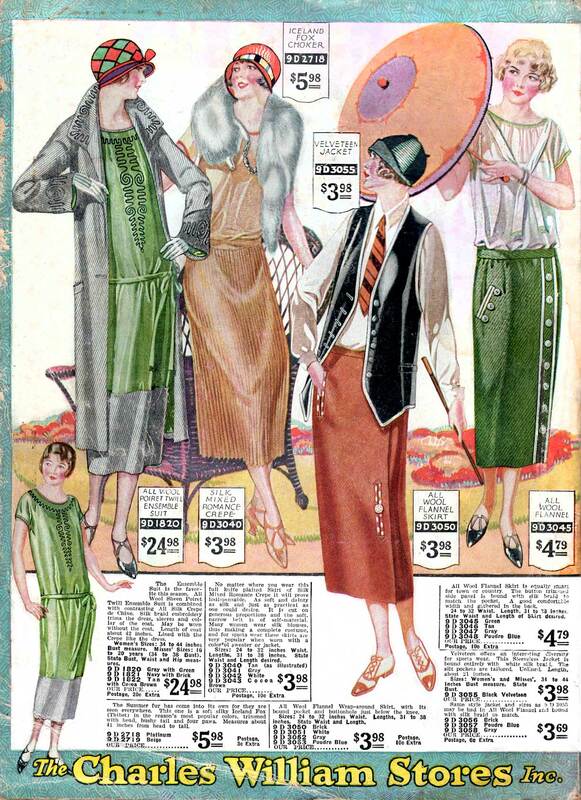 The women’s fashions were in full 1920s style too. 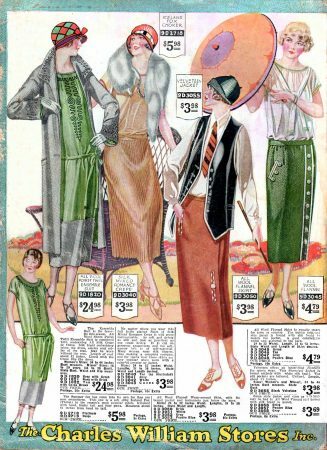 The back cover (which is a bit rough around the edges is dominated but this outfit that looks like it could have been an inspiration for Dianne Keaton in the movie “Annie Hall”, and the fashions are far more casual and colorful than 10 years earlier – even if one of the models is wearing an “Iceland fox choker.” I guess not every retro fashion trend is worth revisiting.